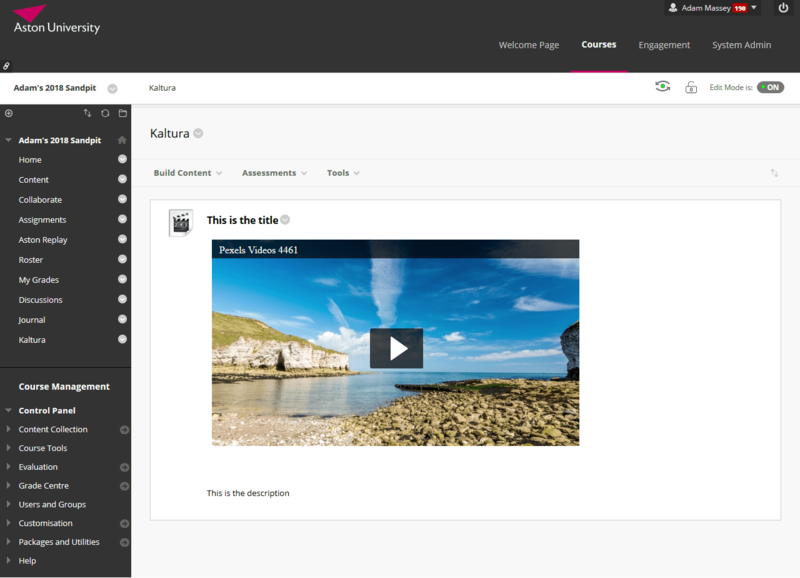 Adding media to your course this way creates a standalone content item that will appear in your course. 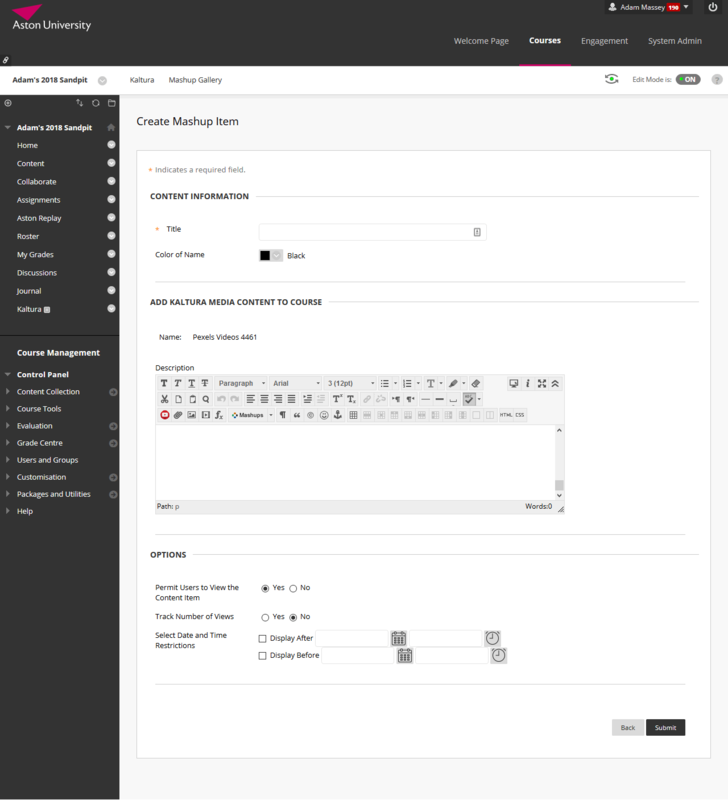 Alternatively, use the Kaltura mashup tool to add a video into any of Blackboard’s text editors (eg in a content item, blog, discussion, etc). Go to the page in the Blackbord course you want the video to appear. Select Build Content, Kaltura Media. Add title(s) and description(s) for the video(s) in Kaltura. Fill out the Blackboard title and description. Navigate to the content area you want the video to appear, and make sure edit mode (top right of the screen) is switched on. Click Choose a file to upload to select the files to upload. The next screen will show you the upload progress, and let you add information about your video into Kaltura. Information you add here will make it easier to find your videos in Kaltura at a later date. The video is shown on the content area with the title above, and the description below.